In fact our brain health suffers greatly when we go on a low fat diet. This is because our brains are primarily made up of fats or “phospholipids” (the simplest form of fat). When we eat a high-fat diet we produce ketones, which are great for brain health and can even be used to treat Alzheimer’s. Alzheimer’s is actually now being termed “type 3 diabetes” because blood sugar regulation plays a crucial role in brain health and fats play a crucial role in blood sugar regulation. You can read more about this here. So if fat doesn’t cause heart disease, what does? The answer is: sugar and carbs. An over consumption of sugar and carbohydrates in the last few decades has given rise to a huge increase in metabolic disorders such as pre-diabetes and diabetes and all the health consequences that come along with these conditions. Why have we been consuming so much sugars and so many carbs? It’s all thanks to that low fat movement that was huge in the 80’s and 90’s but was based on poor science. First of all lets talk about trans fats. trans fats are terrible. They are manufactured and our body’s don’t recognize them. Steer clear at all costs! And these are broken down even further into DHA, EPA, AA and GLA. But in this post I want to simply focus on omega 6 and omega 3’s. 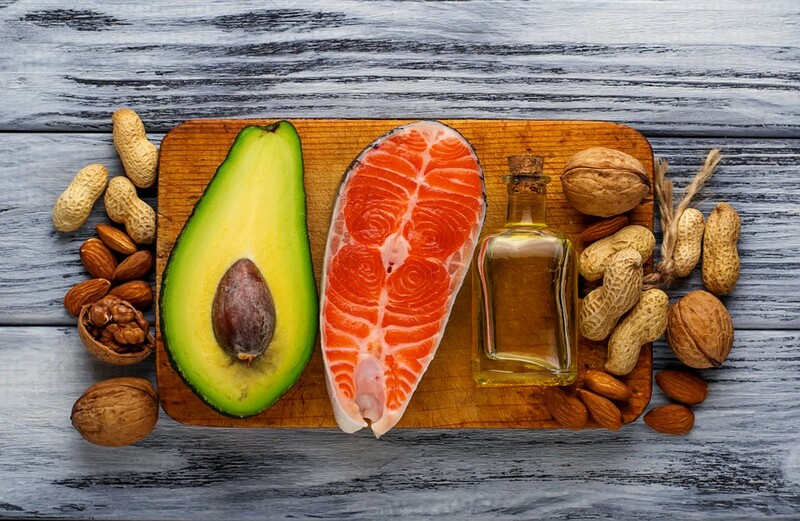 Great sources of omega 3’s include: flax, hemp, chia, walnuts, green leafy vegetables, algae oil and cold-water fatty fish (sardines, mackerel, herring trout, salmon, anchovies). When it comes to oils you want to look for PUFAs that have a healthy omega 6 to omega 3 ratio and these include: flax oil, walnut oil and hemp oil. But, something of crucial importance: do NOT heat these oils. PUFAs develop very harmful free radicals when they’re subjected to heat, oxygen and light. These free radicals can damage tissue and promote all kinds of disease including heart disease, diabetes, cancer and dementia. Never ever heat your PUFA oils. The only oils you should ever cook with are saturated so think; coconut oil, ghee and butter. If you have any questions please drop them in the comments section below.